Hi everyone, I hope all of you had a great week …. Lets talk about bronzer …. Bronzer works its magic to impact a veil of warm colour, resulting in for beautifully bronzer skin. Properly applied bronzer can highlight and accentuate the features of your face. Choose a wide, fluffy powder brush with a rounded top. Swirl the brush evenly in the bronzer and tap off the excess. Apply bronzer to the areas that the sun would naturally hit. 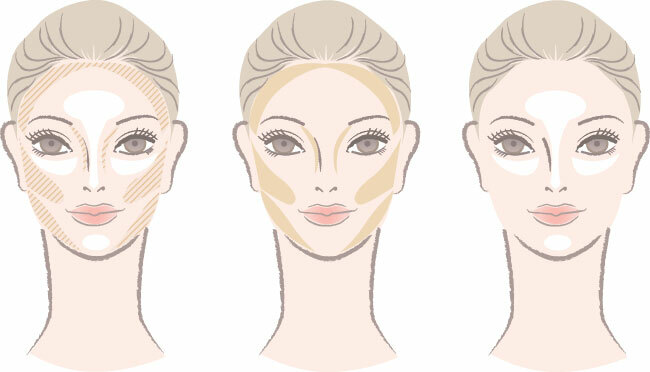 Think about the areas of your face where you tan naturally: Cheekbones, nose, area between the nose and cheeks, forehead and chin. Always blend your bronzer well, so that you don’t have noticeable streaks, dark areas or makeup lines. I recommended a large powder brush with bristles that between fluffy and stiff. Keep in mind that mineral. pressed and loose powdered bronzers require a large makeup brush, for application liquid and cream bronzers can be applied with your fingertips or a makeup sponge. I hope this post will be helpful ….